Now some Valentine's Day cards!! 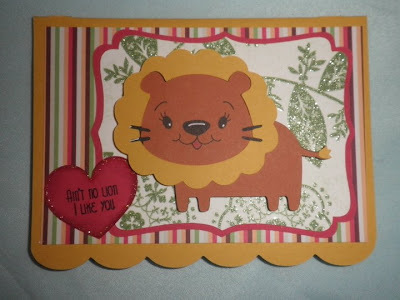 This Lion was cut from Create a Critter and I used Critter Face Peachy Keen stamps for his face. 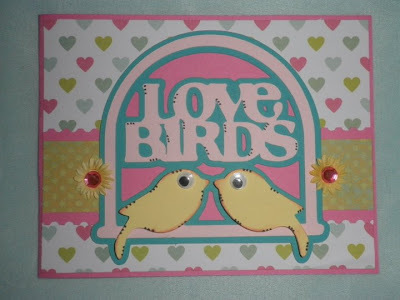 Also the heart was cut from create a critter and the background shape from Sentimentals. The card with scallop bottom was cut from Just Because cards! 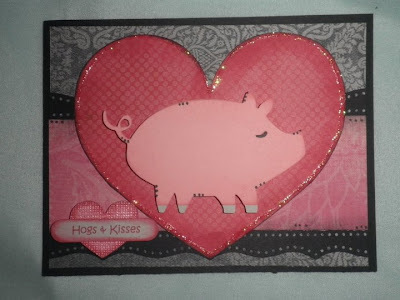 Next one.. Heart cut from Create a Critter and the Pig cut from Just Because. "Love Birds" was cut from Straight from the Nest. 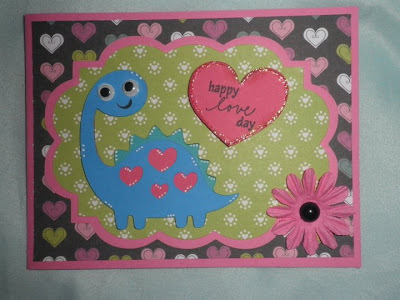 Dino and heart cut from create a critter, background cut fom Just Because Cards I think.. Thanks for checking out my blog today! I appreciate all you my followers and comments!! I love the piggy card! Awe!! these cards are too cute!! 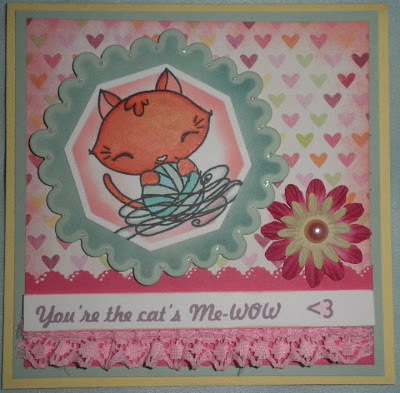 Love your cards and your blog!!! Cute, cute cards! Love that pig...the sentiments are all so fun...tfs! OMG!!! these cards are absolutely so adorable. Thanks so much for sharing ans i'll go and visit your friend Amber!! cute cards, i cant waite to start my v-day cards. These are super cute cards! WOW what talent you have! These are all just adorable. TFS! I recently found your site and I wanted to let you know that I'm passing on a blog award to you...the Stylish Blogger Award. Just visit my blog to check out the details. Your blog is great and I can't wait to see your future posts and ideas.